Performers include: Billy Bob Thornton, Martin Freeman, Colin Hanks, Allison Tolman, Bob Odenkirk, Oliver Platt, Kate Walsh, Glenn Howerton, Joey King, Peter Breitmayer, Tom Musgrave, Josh Close, Russell Harvard, Adam Goldberg, Keegan-Michael Key, and Jordan Peele. This anthology series is an adaptation of the Fargo feature film and each season follows a new “true crime” case and new characters in Minnesota. For example, in the first season: Lorne Malvo (Billy Bob Thornton) is a rootless and manipulative man who meets and forever changes the life of small town insurance salesman Lester Nygaard (Martin Freeman). Duluth Police Deputy Gus Grimly (Colin Hanks) is a single father who must choose between his own personal safety and his duty as a policeman when he comes face-to-face with a killer. Other characters include Molly Solverson (Allison Tolman), an ambitious Bemidji deputy; Deputy Bill Oswalt (Bob Odenkirk); Stavros Milos (Oliver Platt); Gina Hess (Kate Walsh); Don Chumph (Glenn Howerton); Greta Grimly (Joey King); Lieutenant Schmidt (Peter Breitmayer); Bo Munk (Tom Musgrave); Chazz Nygaard (Josh Close); Mr. Wrench (Russell Harvard); Mr. Numbers (Adam Goldberg); Bill Budge (Keegan-Michael Key); and Webb Pepper (Jordan Peele). What do you think? Do you like the Fargo TV series? FX is calling it a “limited series.” Do you think it should end or be renewed for another season with a new cast and characters? 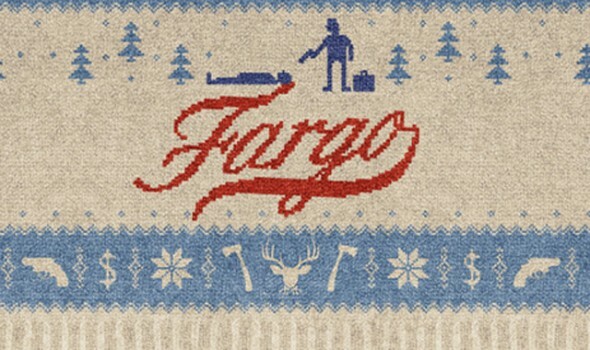 Have thoroughly enjoyed the Fargo series and look forward to more. Very creative, love the low-key understated conversational style of the characters. Please make more episodes. Keep going forever! One of the best ever. I am anxiously awaiting Season 4 to begin! This is one of the very few shows I look forward to, along with the Americans (which I understand is airing its finale in 2018), please continue producing Fargo. My husband & I enjoy Fargo & just found out that we may have to wait three years to see the next set in the series. We feel that this is a first rate show but wish it could be produced sooner than that. Please don’t cancel Fargo & perhaps fit it in the schedule sooner then that. THOUGHT FOR SURE SEASON 2 WOULD NEVER BE BETTER THAN 1,BLEW ME AWAY! THEN 3 COMES ALONG AND IT’S BETTER THAN EITHER OF THE FIRST TWO…THE GUY PLAYING VARGA SHOULD GET AN EMMY! He was so creepy….and Fargo is so very good…every season is so so good…. I really like this show. I really got a kick out of the UFO. The writer has a good since of humor. Keep it going! Fargo is a phenomenal series that captures the essence of the movie by the same name. The stories are true and all tie into or around the town of Fargo. Yes, renew season 4 of Fargo. I can’t get enough of this show. I need more Fargo, or I’m going to Hollywood to create my own crime seens! what was only to be a 8 part series has turned into something so much more. good stuff. Please renew it! It’s awesome! TERIFFIC!!!! When doe the ’16 series start?